OPEL OLYMPIA CABRIOLET 1951 BORDEAUX 430040432 Minichamps 1:43 New! Opel Kadett GSI Cabriolet -1989 - Saturn Metallic 400045930 Minichamps 1:43 New! 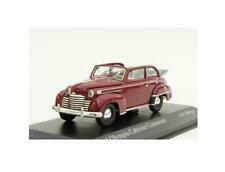 OPEL OLYMPIA - 1952-IRISH GREY 430040401 Minichamps 1:43 New in a box! OVP RARE! OPEL ASTRA TWIN-TOP CABRIOLET 2006 WHITE 400045630 Minichamps 1:43 New in a box! This page was last updated: 26-Apr 09:48. Number of bids and bid amounts may be slightly out of date. See each listing for international shipping options and costs.